Striker was photographed brandishing an imitation firearm. NEWCASTLE UNITED HAVE issued a public apology on behalf of striker Nile Ranger after it emerged that the 20-year-old had posed with a toy gun for a photograph. The Sun obtained a copy of a picture, reported to have been taken by Ranger’s girlfriend, which shows the player brandishing the weapon with his finger placed on the trigger. A statement issued by the club to British media outlets confirmed that Ranger had not broken any laws by possessing the imitation firearm, but stressed that they would be speaking to him about the implications of apparently glorifying gun usage. “The club have spoken to Nile and can confirm that the item shown in the photograph is a replica firearm which it is not an offence to own,” The Guardian reports a Newcastle spokeswoman as saying. The club will be speaking with the player this week about the importance of being a positive role model to young fans. Ranger has played 28 games for the Tyneside club this season, with 24 of those appearances coming as a substitute. 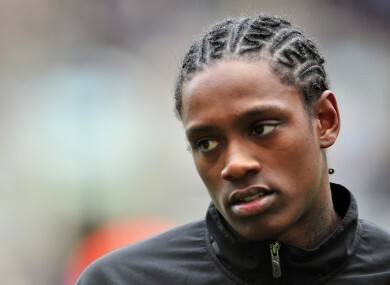 Email “Newcastle star Nile Ranger apologises for posing with gun”. Feedback on “Newcastle star Nile Ranger apologises for posing with gun”.